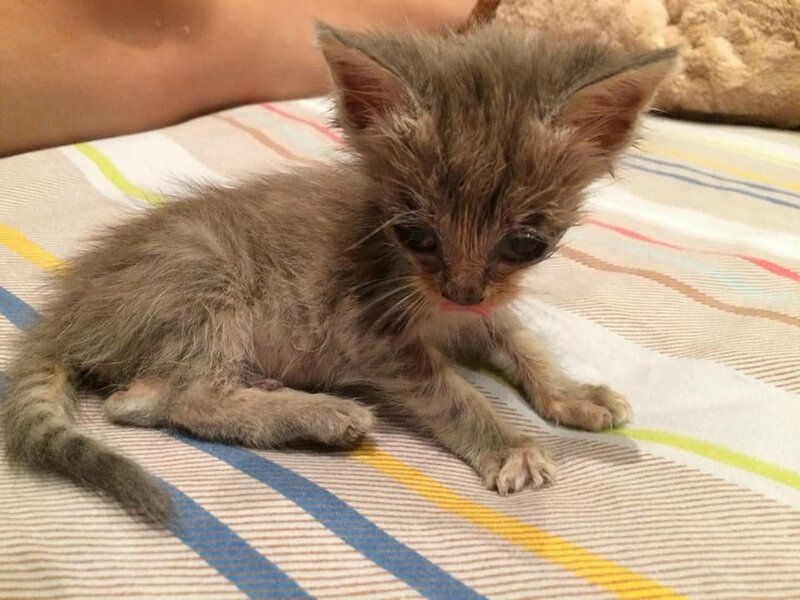 A skinny 4-week-old cat was found in the city of New South Wales, Australia. 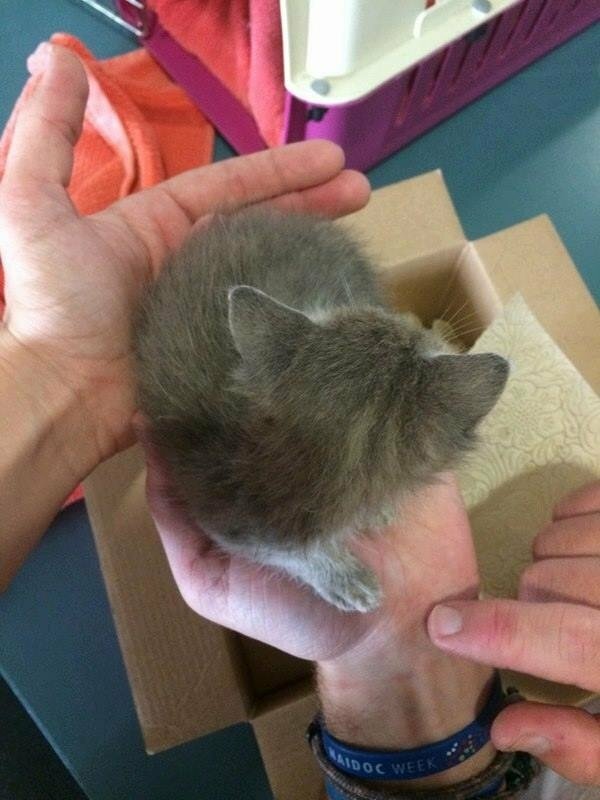 A man took the kitty off the sidewalk and got him help right away. 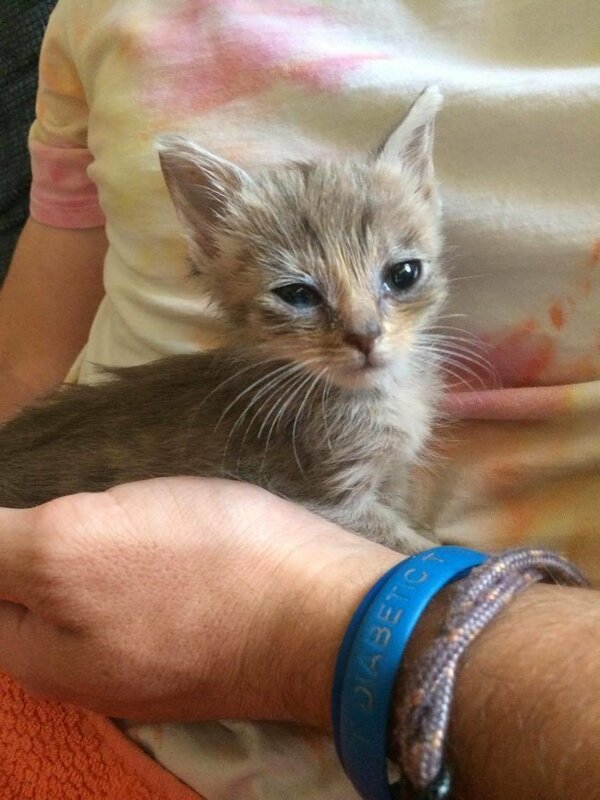 Meet Gaius – which means “joy” in Latin. 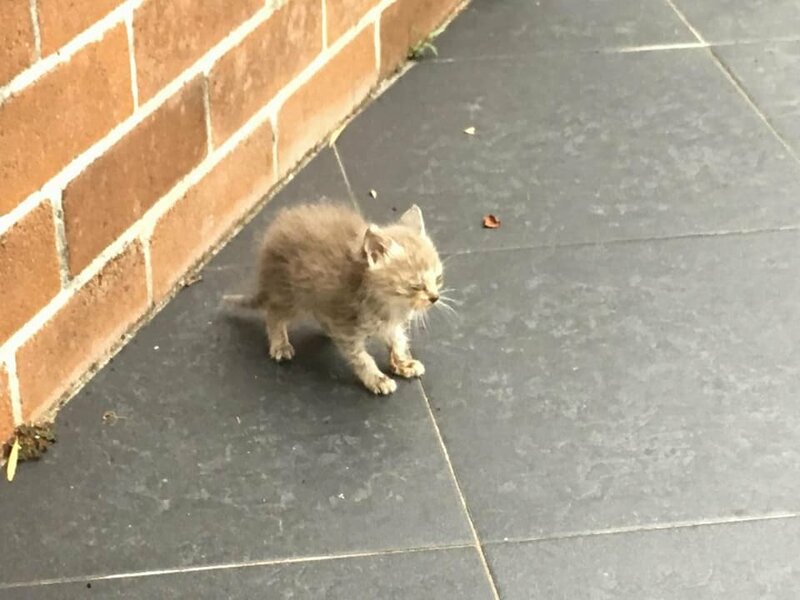 Little Gaius was spotted on the sidewalk, almost dead. The person who discovered him took the little cat with him, wiped the dirt out of his eyes and the insects that were creeping over him. 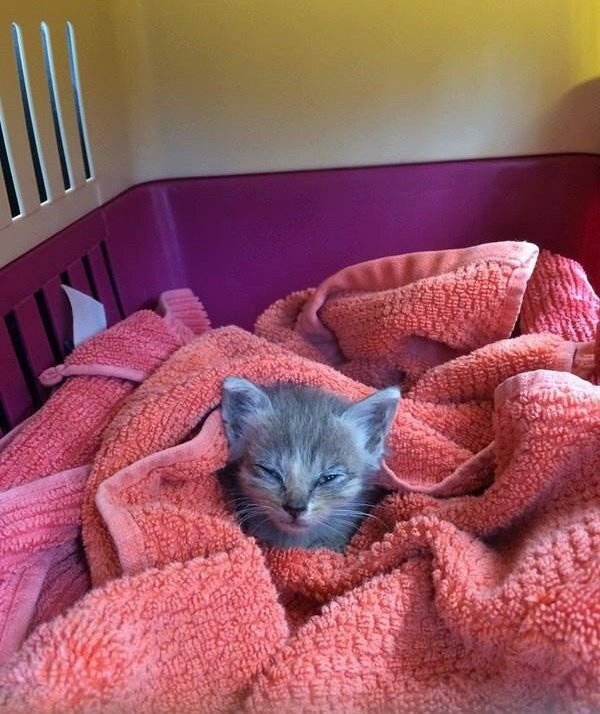 In order to have another saved feline at home, he called the CatRescue 901, a rescue team in Terrey Hills, New South Wales, for some assistance. 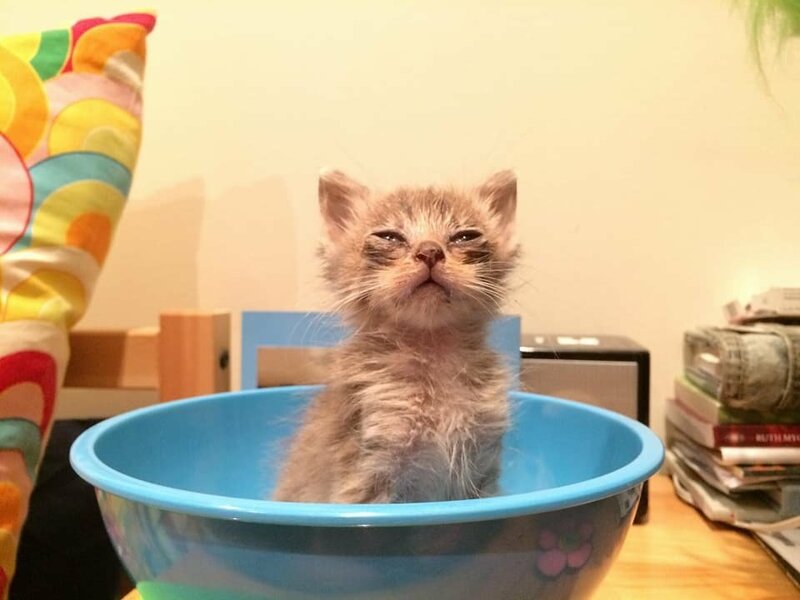 “Gaius was extremely tiny around 217 grams when we got him.” Jenny Storaker, Co-Director of CatRescue 901, said to us. That evening, the guy bottle fed him 24/7, gave him meds, and kept him safe. “He is eating and putting on weight. We are treating his influenza with the most needed medical care” Jenny said. 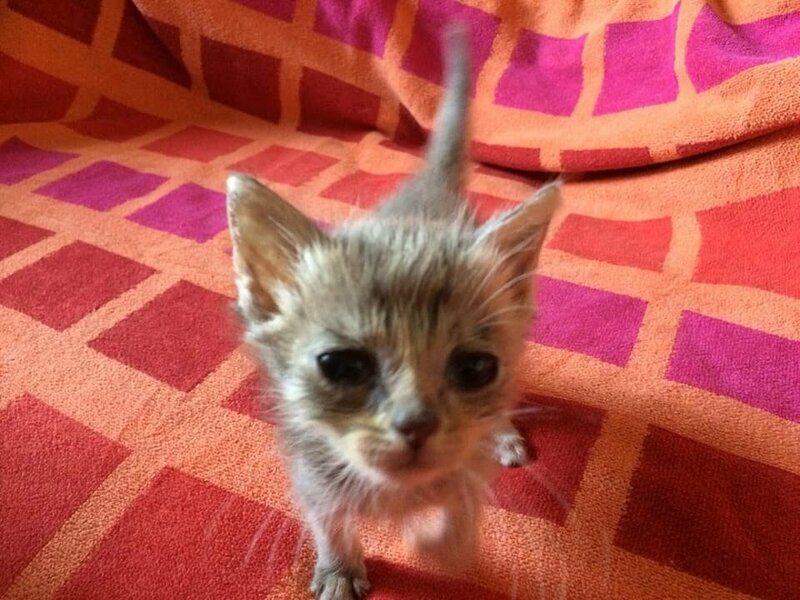 Little Gaius is a palm-sized kitten with the soul of a tiger! He’s eating healthfully and putting on weight. 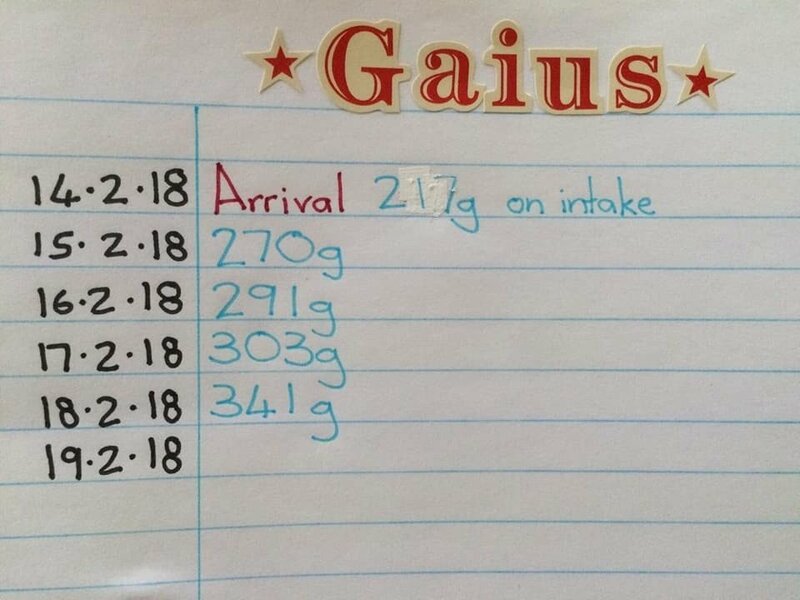 In only four days, he’s increased 124 grams! When they got him, he could barely move. After two days, he totally improved. At this time he’s playing and being happy in his new home. What a difference one moment can make! 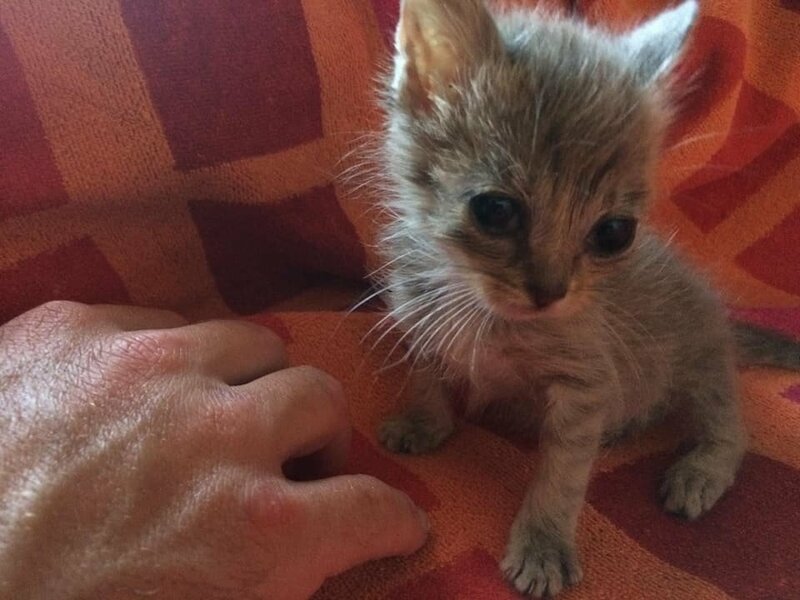 The kitty who was suffering and almost dead is currently flourishing in so much love.